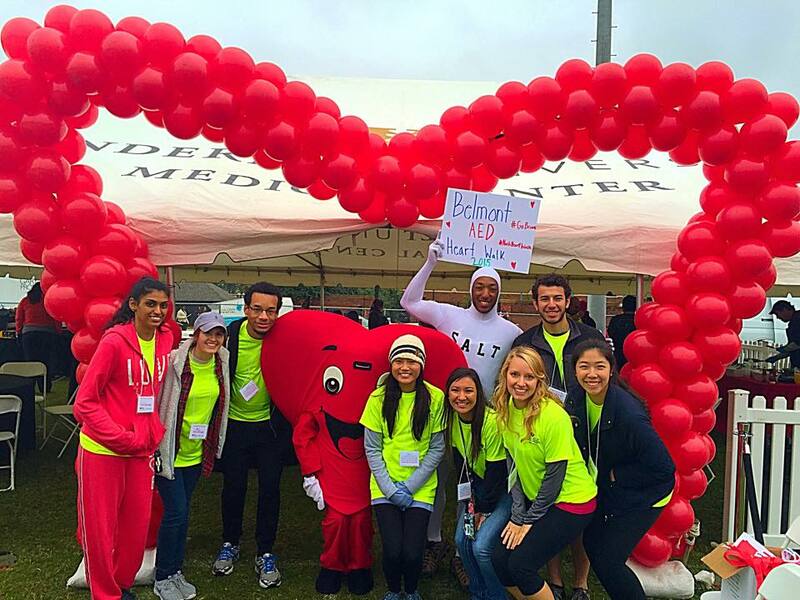 Nine members from Belmont’s Alpha Epsilon Delta (AED) Pre-Health Honor Society participated in the 2015 Greater Nashville Heart Walk on Saturday, October 3. The Heart Walk is a 5K and fundraiser for the American Heart Association. AED is the National Health Pre-Professional Honor Society dedicated to the encouragement and recognition of excellence in pre-professional health scholarship including medicine, dentistry, veterinary and others. The Society welcomes all students engaged in the pursuit of a professional healthcare career.